Online ticket sales have ended. Limited amount of tickets will be available at the door. Yes, you heard right! 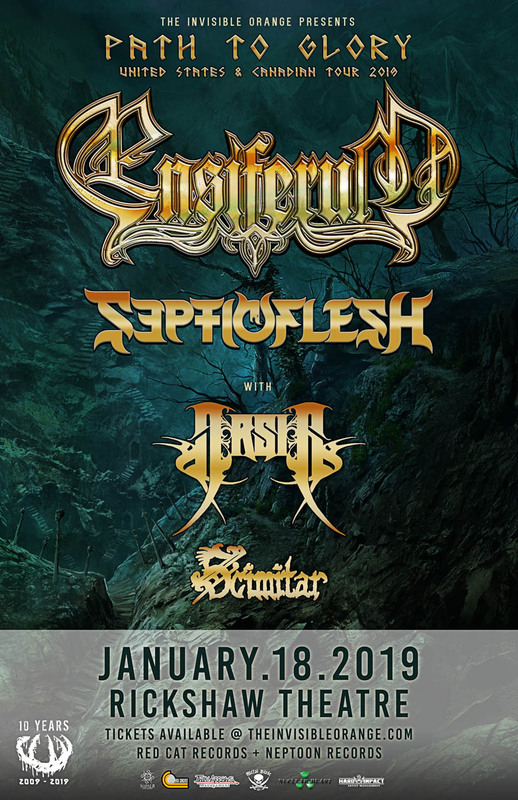 Ensiferum and Septicflesh are coming to Vancouver! ENSIFERUM has been flying the flag of epic, folk-infused death metal for over two decades. Co-headlining with them is the Greek symphonic death metal outfit SEPTICFLESH. ARSIS will be supporting this tour. And SCIMITAR from Victoria, BC will get the night started!